SHANGHAI -- August 22 marked the anniversary of Deng Xiaoping's birth 110 years go. Though it has been 17 years since he left us, his eyes, sharp and deep, remain vivid in my memory. Though his demeanor was that of a calm and gentle old man, his determined gaze betrayed a will as hard as iron -- a will that has shaped an entire nation. As an interpreter for Deng and other senior Chinese leaders in the 1980s, I was fortunate to have had the opportunities to be in touch with this great statesman at close range. Deng was a true character with a famously blunt and direct manner. When he received Italian journalist Oriana Fallaci in 1980, they spoke for hours and she asked very tough questions. During a break, Deng asked her: "Do you also speak to your father like this?" Fallaci said yes. "Doesn't your father give you a slap on your face?" Deng asked, laughing. The combative Fallaci was clearly impressed with her combative subject who spoke so candidly on and off the record. I also observed Deng in his meetings with foreign leaders, including Kim Il-sung from North Korea, Robert Mugabe from Zimbabwe, Mikhail Gorbachev from the Soviet Union and Jerry Rawlings from Ghana. Kim Il Sung visited China in 1982 when the North Korean economy was going through a particularly difficult time. Kim told Deng that one way he was planning to overcome his difficulties was to raise more common quails than chickens because, Kim said, he had learned from the president of Pakistan that quail eggs are twice as nutritious as chicken eggs! Deng, let's say, was non-committal and steered the conversation elsewhere. He talked to Kim instead about his observations concerning China's impoverished northeast on his way back from a visit to North Korea in 1978. After decades of revolution, he said, most rural areas were still dirt poor. Believing that socialism should have brought wealth and not poverty, Deng was not so interested in talking about quail eggs as he was about shifting the whole nation to a path of economic development and modernization. The measures he wanted to adopt, he told Kim, included opening up to foreign technology, management, and capital. While many socialist nations at the time were still thinking of minor technical adjustments, Deng was already considering fundamental reforms. My views today were shaped in such discussions Deng held with Kim and other socialist leaders. In my mind, there are three kinds of reform models among socialist countries. First, there is the conservative model adopted by North Korea and Cuba. Holding onto a planned economy with limited market mechanisms, the overall result hasn't been good and the economies remain poor. Second, there is the radical model adopted by the Soviet Union and Eastern Europe. This model amounts to a de facto revolution that has sought to transplant the Western multi-party system and market economy onto their own soil. We know the results: When the Soviet Union broke up, Russia's economy was larger than China's. Now, China's foreign reserves of U.S. $4 trillion is more than the GDP of Russia and Central and Eastern Europe combined. The third approach is China's model of steady reform. The facts speak for themselves. Less than 20 years after Deng's death, China is the world's second largest economy, headed for the first slot in the years ahead. "WE WERE PUNISHED FOR THE GREAT LEAP FORWARD AND THE CULTURAL REVOLUTION"
Robert Mugabe visited China for the second time in 1985. He admired Mao Zedong and half of his cabinet members were trained in a military academy in Nanjing. As during his first visit in 1981, Mugabe felt China was marching towards capitalism and was not happy that the Chinese had ditched Chairman Mao. Deng told Mugabe that China was only upholding the principle of "seek truth from facts," a key element of Maoism. And the presupposition for the Four Modernizations (agriculture, industry, national defense, and science and technology) was socialism. Deng was firm on two unshakable core principles: the leadership of the Communist Party and common ownership. As long as these two elements were intact, he felt any mistake could be corrected. Since Mugabe was quite a leftist, Deng spent a considerable amount of time recounting the lessons China learned from being "left" -- the Great Leap Forward and the Cultural Revolution. "We were punished," for these mistakes, Deng bluntly told his surprised guest. At the same time, Deng also reassured Mugabe that China would stick to the so-called Four Cardinal Principles -- upholding the socialist path, upholding the dictatorship of the proletariat, upholding the leadership of the Communist Party, and upholding Mao Zedong Thought and Marxism-Leninism. During Mugabe's next visit in 1987, Deng spoke about these principles further. There is only one objective for upholding them, Deng said, and that is to ensure stability in China. Without stability, Deng believed, China's modernization would be destroyed by pro-western liberalization. These principles, however, were not dogma, Deng stressed, but must be guided by "seeking truth from facts." In short, realities on the ground, not ideology, would pragmatically guide China's reform path. Even after so much explanation from Deng, Mugabe wasn't totally convinced. "We friends in the Third World still hope China will uphold the socialist path," Mugabe said. I sensed Deng's annoyance when he replied, "We still have a powerful state machine." Deng added that this strong machine could avert any serious deviation from the socialist direction. Indeed, Deng was expecting the worst on China's daunting journey toward modernization, including the kind of political turmoil that materialized in 1989. It was clear to me from his conversation with Mugabe that Deng would never allow an open challenge and overthrow of the socialist system. 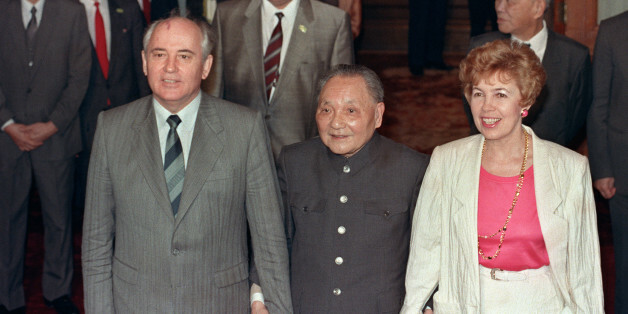 DENG ON GORBACHEV: "THIS MAN MAY LOOK SMART BUT IN FACT IS STUPID." This brings us to Mikhail Gorbachev who visited China in May 1989. At that time, there were two political forces in China. One the one hand, we had the students whose hero was Gorbachev, known for his prioritization of political reform. The students welcomed their hero with a slogan -- "Today's Soviet Union, Tomorrow's China" -- which was very appealing to China's intelligentsia. On the other hand, we had Deng who believed that the most urgent task was to improve people's livelihood. In his view, all other reforms, including political ones, had to serve this primary goal. He believed that copying the Western model and placing political reform on the top of the agenda, like the Soviets were doing at the time, was utterly foolish. In fact, that was exactly Deng's comment on Gorbachev after their meeting: "This man may look smart but in fact is stupid." The two sides couldn't come to any compromise, leading to tragedy in the end. Nevertheless, it is my conviction that the most important thing remains: The vast majority of the Chinese people today agree with Deng's viewpoint. Stability is supreme for a super big country like China. With a stable environment, some liberal economic policies have, and can, make a difference for at least 70 percent of the population. Step by step, that's how we have come this far. A month after receiving Mugabe in 1985, Deng met Jerry Rawlings, president of Ghana. The first thing Deng asked Rawlings was whether he smoked or not. Rawlings said, "no, but you can." Deng lit up, referring to his own Panda brand cigarette that "is especially for me, with lower amount of nicotine." With the first steps of reform going well, Deng was in a very good and relaxed mood. "It looks like we have found our own way," Deng said proudly. He encouraged Rawlings to pay a visit to Xiamen, one of the special economic zones being established. Xi Jinping, China's current president, was then a vice-mayor of Xiamen. "Don't just copy China's model. You have to walk your own path," Deng cautioned Rawlings. He summarized China's experience for his guest: "If there's any relevant Chinese experience for you, I'm afraid it is only one thing: 'seek truth from facts.'" In other words, he told Rawlings, "you must formulate your own policies and plans according to the actual situation of your own country. During the process, you must learn the lessons in a highly timely fashion -- to keep the good things and correct the wrong ones. This, perhaps, is the most relevant experience for you." To this day, this is the essence of the China Model. Rawlings commented in response that the Chinese seemed very rational while his countrymen were not. The West simply presented a model and told them to copy it. But here was the leader of the world's largest country telling him not to copy the Chinese way. "Only the leader of a great civilization could have said such a thing," Rawlings remarked. First, his vision. Even in his 80s, Deng was a strategist with a very long view. He always talked about issues which he himself wouldn't be able to see a few decades ahead. As he saw it, his task was to lay down some fundamental principles that would pave the way for the nation for a hundred years. Second, his thinking. Deng was thinking all the time. Every time he received briefings from the foreign ministry, he would always sit silently afterwards on the sofa alone with his cigarette, staring out into the room lost in thought. This image has stayed with me ever since. Third, his clear-sighted pragmatism. Deng always emphasized the importance of first trying anything new to see if it worked before implementing it on a larger scale. Fourth, his grandeur. Deng commanded a big army and fought fierce battles in the revolutionary years. He also suffered many ups and downs in his long career. This vast experience in life lent him an aura of grandeur and dignity that expressed itself in a certain confidence about how the world works. A foreign dignitary once asked Deng whether China was ever worried that the Soviet Union might get involved with the Sino-Vietnamese war or not. After all, the Soviet Union was a superpower much more superior to China militarily. Deng answered simply without any trace of anxiety: "How would the Soviet Union dare to invade China if the superpower couldn't even take over Afghanistan?" Twenty years ago, I wrote an op-ed for the International Herald Tribune (renamed as International New York Times now). Deng had not shown up in public since the Lunar New Year in 1994 and the outside world was expecting his imminent end. Many predicted that China would become totally chaotic and might even break up. The article I wrote was titled "Dengist China After Deng? Not Certain But Likely." I just re-read it again and believe that it is still valid without even changing one word. My conclusion then I also abide today: "Drawing strength from economic performance, memories of past political chaos and the lessons from Russia, Dengism may continue to prevail. 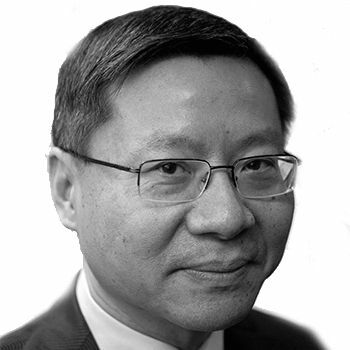 A more democratic China may well emerge, but perhaps more as a result of gradual reform and greater prosperity, which have been facilitated by Deng Xiaoping's doctrine, than of radical democratization."